(ANTIMEDIA) — Officers planting evidence appear to be growing a tree of corruption at the Baltimore Police Department, as the second release of suspicious body camera footage in two weeks has led to more dropped drug charges. 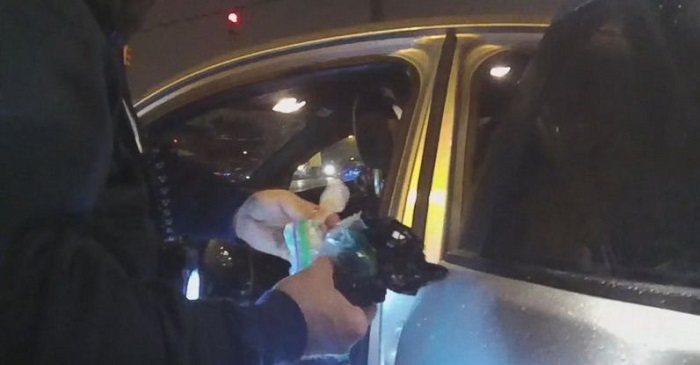 On Tuesday evening, Baltimore defense attorney Josh Insley released BPD body camera footage showing officers apparently faking the recovery of drugs from a woman’s vehicle. The three videos led the Baltimore state attorney’s office to drop charges against Insley’s client, Shamere Collins, on Monday, the Baltimore Sun reported. Insley plans to sue the police department to seek justice for Collins, 35, who was pulled over on November 29, 2016, when police say they observed what looked like a drug deal involving the passenger of her vehicle, according to the Sun. None of the names of the seven officers who responded to the traffic stop have been released by the BPD. Two of those officers, however, have been suspended pending an internal affairs investigation, and other cases involving those two officers are also being delayed, the Sun reported. The city’s public defender office described the video as showing “multiple officers working together to manufacture evidence,” according to the newspaper. At one point in the recordings, after officers found nothing around the driver’s seat or in the rest of the vehicle, body cameras were turned off. A half hour later when they were turned back on, a different officer appeared at the driver’s side of the car and passively asked, “Did anybody check this compartment?” while simultaneously leaning down and soon standing back up with a black plastic bag in hand. The move was quick, but it’s unclear whether that was why none of the officers standing by responded to his question. Police also claimed that the officer who picked out the plastic bag had been conducting surveillance before the traffic stop and therefore knew better where to look. What a generalization. Not all cops are crooked. But just in case, Baltimore Police Commissioner Kevin Davis sent a reminder memo this week to all officers regarding body camera policy. “In the event your body worn camera is not activated during the recovery of evidence, under no circumstances shall you attempt to recreate the recovery of evidence,” Davis wrote, according to the Sun. Tampering with or planting evidence isn’t specifically mentioned in the letter, but so-called recreating the recovery of evidence is. The fact remains, however, that there are now multiple ongoing internal affairs investigations into multiple officers over body camera footage of evidence mishandling while other officers were nearby. Two weeks ago, body camera video of a January incident was released. Officer Richard Pinheiro inadvertently filmed himself placing a baggy of pills in an alleyway as Officers Hovhannes Simonyan and Jamal Brunson stood some distance away on a sidewalk. Pinheiro was suspended and the other two are on administrative duty as the investigation continues. Baltimore State’s Attorney Marilyn J. Mosby has confirmed to multiple news outlets that she dropped 41 felony drug and gun cases that would depend on those three officers’ testimonies. The Baltimore Sun reported that an additional 55 cases are under review, 27 of which will not be interrupted as they reportedly contain strong evidence that is independent and corroborative.